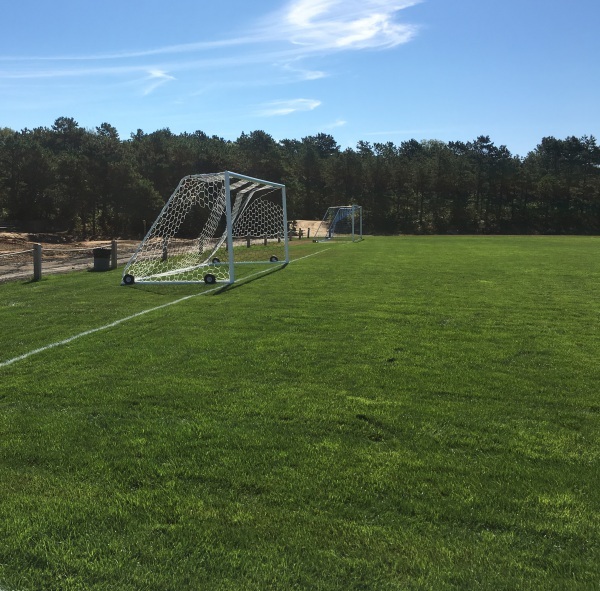 CAPE COD SOCCER ACADEMY, Inc.
WE PROVIDE ELITE INSTRUCTION AND TRAINING FOR THOSE WHO ALSO WANT TO TAKE THEIR GAME TO THE NEXT LEVEL. 9:00 a.m. -- 3:30 p.m.
Is Available At No Extra Cost. Refund Policy: If your child is not going to attend camp and if you give at least 14 days notice prior to the start of the academy, you will have your payment refunded, minus $50, for a service fee. 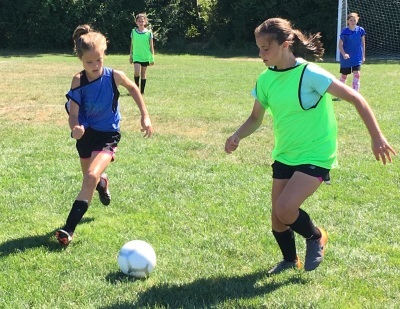 I, the undersigned, hereby acknowledge and understand that the CAPE COD SOCCER ACADEMY, Inc. is an independently owned sports camp and is not operated by or through Upper Cape Cod Technical High School in Bourne, Massachusetts. I hereby authorize the staff of CAPE COD SOCCER ACADEMY, Inc. to act for me according to their best judgement in any emergencies requiring medical attention. 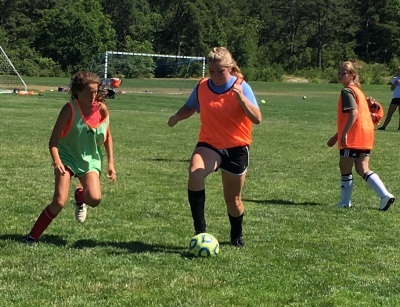 I also hereby waiver and release the CAPE COD SOCCER ACADEMY, Inc., its coaches, staff, director and athletic trainer from any and all liability for any injuries or illnesses incurred while at camp. I have no knowledge of any physical impairment that would be affected by the camper name herein's participation in the camp program. I also understand that the CAPE COD SOCCER ACADEMY, Inc. provides only excess insurance coverage after my insurance policy has been utilized entirely. All photographs taken at the camp may be used in future printed or electronic sites. The full amount of $205 is required with each completed enrollment form. Mailing the enrollment form only does not constitute as acceptance. PLEASE INCLUDE A COPY OF YOUR CHILD'S MOST UPDATED PHYSICAL FORM AND A COPY OF YOUR CHILD'S IMMUNIZATION RECORDS along with the enrollment/parental consent form. Accepted applicants will receive a confirmation e-mail. Reis is a former certified referee of 26 years, 1990 - 2015; 21 at the collegiate level. He has officiated USSF club and mens league games along with working high school soccer matches as a member of the WCSOA for ten years. In 1996 he was chosen by the MA Youth Soccer Association along with 14 others to officiate at the US Youth Region I tournament in New York. He officiated the MIAA Division 3 high school boys soccer state semi-final tournament match in 1999. He was the center referee for the 2003 and 2005 New England Region Junior College mens championship finals. He was an NCAA Division I II III mens and womens referee from 1995 - 2015, for NISOA. He has worked numerous conference, ECAC and NCAA tournament games as a center referee and as a linesman. Reis played competitive futebol for 14 years at the youth, club, high school and amateur mens levels, mostly in Taunton. He played four years of club soccer for the Taunton Sports SC U19 team. He was a two year starter at Taunton High School where he was selected to the Old Colony League All-Star team his senior year as he was the team's second leading goalscorer in the fall of 1987. He also played two seasons, usually as a substitute, for FC Luis de Camoes from Stoughton, who competed in the second division of the then popular LASA league; (Luso American Soccer Association). * Each student needs to have their own lunch daily. * Each student should have their own beverages daily. * Each student must have their own soccer ball daily. * Each student must wear shin guards while playing. * Each student must wear sandals or sneakers at lunch. * Each student will receive one camp t-shirt to keep. * Passing, dribbling, shooting + pk contests will be offered. * Boys and Girls will not play in a co-ed setting. * Plyometric training will be offered to 5th--10th graders. 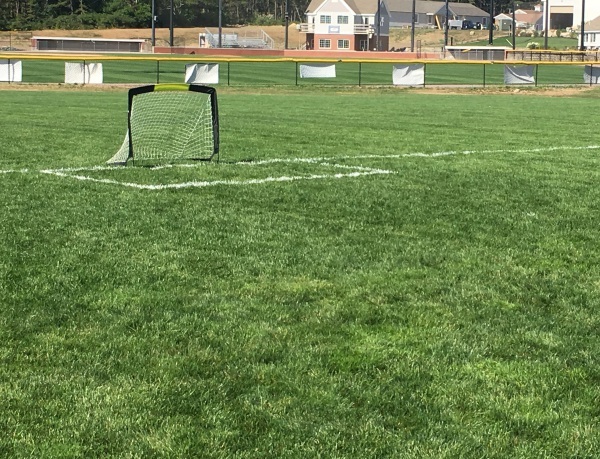 * Goalkeeper training will be offered to 5th -- 10th graders. * The academy is not responsible for lost or damaged items. Health and is licensed by the local board of health. well as Procedures for F iling Grievances. 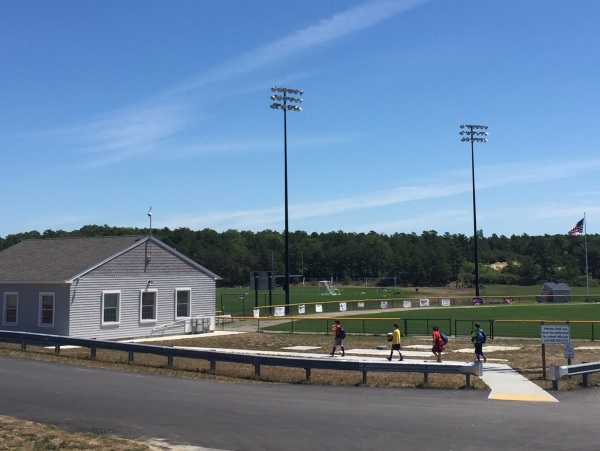 The camp is held on beautiful grass fields at picturesque Upper Cape Cod Tech High School in Bourne. rain/thunder/lightening. The remainder of the day will not get cancelled. 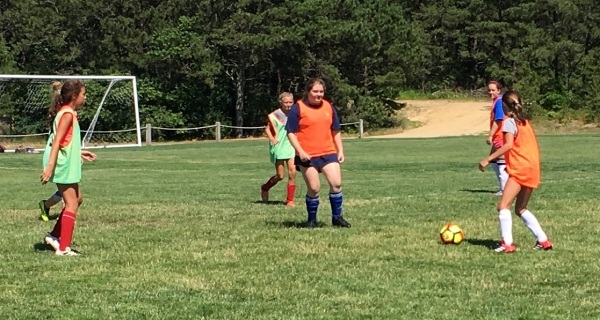 "My daughter and her friend play travel soccer for a soccer club in Maine. They both loved the camp, and thoroughly enjoyed their coaches, who were always positive and fun. 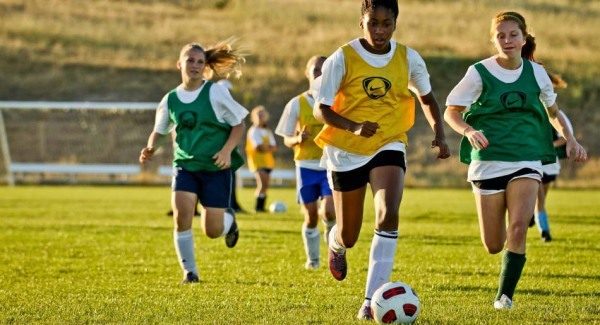 The coaches recognized that one of the girls needed more and moved her to a more advanced group. This allowed both girls to grow and develop their skills. They enjoyed making new friends and loved the daily competitions. It was especially fun when, on the last day, the coaches participated in a PK competition." "Both my boys really ejoyed camp. Sebastian was over the moon with the goalkeeper training. He's been playing that position for his Falmouth travel team for a couple of years now, and this is the first time he received any position-specific training. For Russell it was his first exposure to more organized soccer practice and he made huge strides, managing to dribble and shoot effectively by the end of the week." "I would like to send you a quick e-mail to let you know how much fun Jayden is having this week. 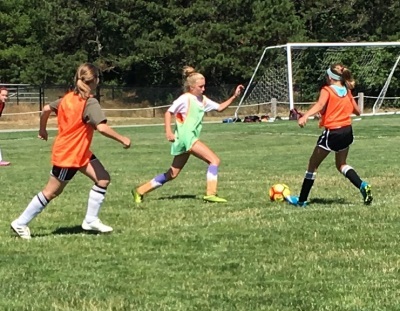 She can't stop talking about the drills goalkeeper coach Connor has been working on with her." "Thank you Coach Tony, Coach Gavin and all at Cape Cod Soccer Academy for another great week of camp! You guys gave these kids a fantastic week of soccer! See you in 2018." "Tony, both my son (9) and daughter (11) attended in different age groups and really had a wonderful week. They particularly liked the skills competitions and had a great experience with their respective coaches/counselors who pulled off a nice balance of instruction and fun. We were also impressed by the great facilities you have there and the kids are looking forward to coming back next year." "Thank you to Coach Reis and his passionate team for providing a safe and fun camp experience with lots of growing opportunities for players. My son Liam came home each day with a smile on his face and a new passion around soccer. Loved the facilities and the positive, encouraging atmosphere. As a parent, I really appreciated your emphasis on improving confidence and skill level...all whilst having FUN! It was very clear that you guys loved the game and the kids! Thank you so much!" 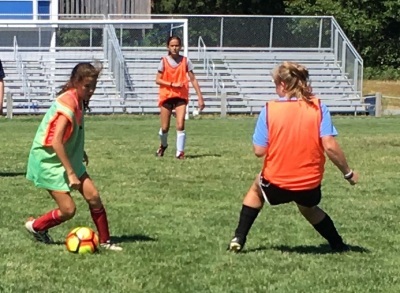 "My daughter said this is the best soccer camp she's been to, which includes UK Elite and Paul Turner's Ultimate Soccer Academy." "Thank you for everything. My kids and I appreciated the quality of coaches Cape Cod Soccer Academy provided. Each of my 3 children had a great experience from 3 different coaches. They all learned and gained important skills. Everything was exactly what I was hoping for in a soccer camp experience. Thank you to you and all your coaches. See you next year." "Thank you Tony and staff. Emerson had a great week...looking forward to next year." "We had four kids all of varying abilities and interests attend the CCSA camp, but, every day at pick up our kids were excited to tell us what they learned, who they met and how much fun they had. The coaches somehow got all the kids excited to come back the next day despite the heat. Having use of the indoor facilities at UCT was perfect and the kids appreciated that. Between four children, we have experienced a lot of camps and this is by far one of the best. Thanks to Tony and all the coaches." "Great camp! My son really enjoyed it! He liked Coach Perry a lot!" 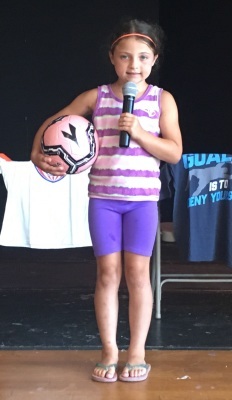 "My daughter Diana hasn't really played soccer untill your camp. My son has more experience but they both haven't stopped talking about what a wonderful experience and how much they learnt. Thanks to you and your team for making it such an amazing experience for both my children! We will be back next year!!!!" "Thank you all for a great week! Logan had a blast!" 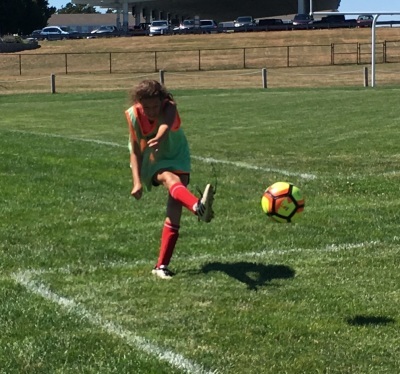 "This is our son's second year at the Cape Cod Soccer Academy camp and we didn't think he could have a better experience than last year, but, we were wrong. He sharpened his skills as well as learned new ones and even has a deeper appreciation for the sport itself. The camp is staffed with knowledgeable, wise and friendly coaches who, along with Tony, clearly gave 110% to the campers. Congratulations on an awesome second year camp. See you next year." "Thank you coaches for a great week!" 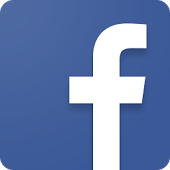 "Theo had an excellent experience! His favorite part was scrimmaging and he wants to thank all of his coaches! It was especially exciting that he was bumped up to 7/8 graders because of his skill. It really helped his self-esteem! Thanks again." "Morgan had a great experience." parent I valued the flexibility of the drop off and pick up accomodations. Finally, I was impressed beyond description with the generosity displayed at the awards ceremony. Thank you for this great experience for George and I agree with him that it should be much more than one week long." "Grayer learned a few new tricks and his confidence in playing soccer grew tremendously this week. Thank you for having such a positive soccer camp! He will return next year." 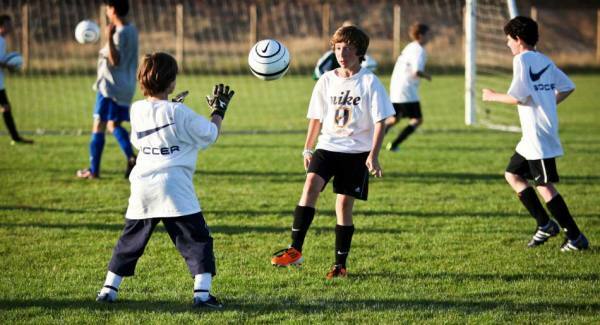 CAPE COD SOCCER ACADEMY, Incorporated, is licensed through the town of Bourne and the state of Massachusetts. 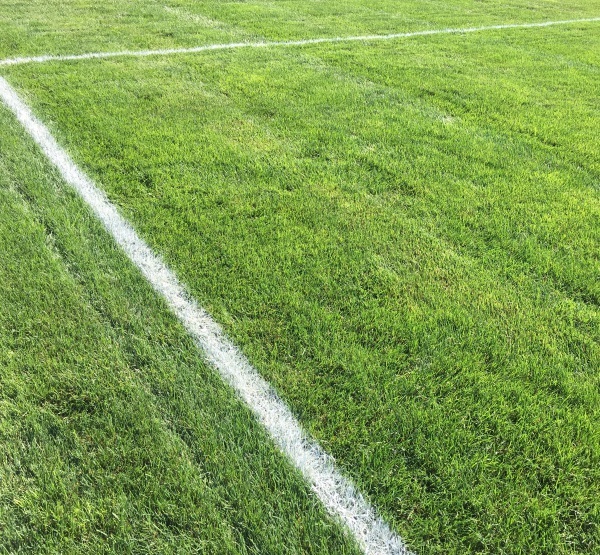 It is also insured with Bene-Marc Sports, Inc. and Almeida-Carlson Insurance.